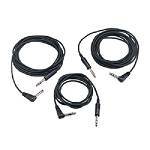 Dual Trigger Cable Pack comes with 1- 6 ft, 1- 8' & 1- 10' cable a real savings. 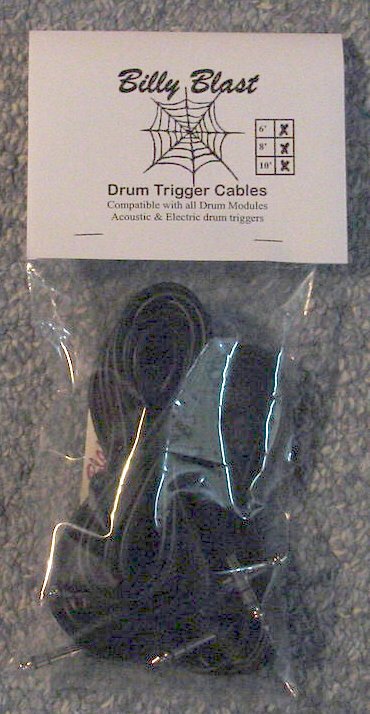 Trigger your drums and pads with these shelded cable. Can be used for drums and cymbals. 1/4" stereo right angle to 1/4" stereo straight phono molded plug. Very strong and very quiet.